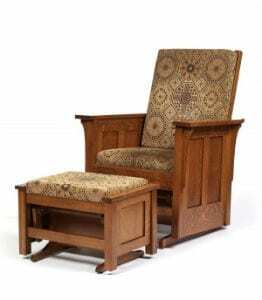 Your Central Ohio Amish Furniture Outlet – Amish Originals Furniture Co.
Are you looking for new furniture that is beautiful, durable and made from the finest hardwoods in the United States? Amish Originals Furniture Co., your Central Ohio Amish furniture outlet, has everything you want. Each item is handcrafted in the Amish tradition, and you know that any item made by the Amish is going to be strong and durable as well as beautiful and functional. Established in 1992, Amish Originals Furniture Co. is your one-stop Amish Furniture outlet for amazing Amish furniture. If you live in Central Ohio, the showroom, located in historic Uptown Westerville, is convenient, easy to find, and it is just a short drive away from many Ohio cities and towns. Here you will find furniture for every room in your home, furniture that is made to last a lifetime, because it has been crafted with love and a sense of Amish pride. All items are made from American hardwoods, and each piece is built to order. This means that if you see something you like, you can have it made to fit in perfectly with your décor, with your choice of styles, wood and finishes. Not only will you find a huge selection at this Amish furniture outlet store, you will also find most everything you need to decorate your home. There are many unique and interesting items available, including home décor items and beautiful one-of-a-kind artworks from the Amish community, as well as other interesting pieces of artwork. Everything you purchase is built to last for many years, and you will find nothing but the highest quality of furniture and home décor items when you visit the show room. If you do not have access to a vehicle that can lug home your purchases from this Amish furniture outlet in Central Ohio, you have the option of having it delivered right to your home. This is available at an additional cost of $49 within a 20 mile radius, which is more than worth it when you think about the time and energy involved in bringing home furniture yourself. Your time is valuable, so we will make sure that your delivery is scheduled within a two-hour window, and drivers will call ahead so you know exactly when they are going to arrive. This will give you enough time to make sure that there is a clear path to every room where your new furniture is going to be placed. Remember, the delivery drivers only drop off furniture, they will not haul away old furniture, or help install any home entertainment equipment. When you are looking for quality Amish furniture, look no further than your Central Ohio Amish furniture outlet, Amish Originals Furniture Co. Conveniently located in Westerville, you will find many beautiful items on the showroom floor, and you can decide which style, wood and finish you want, making your furniture completely unique. Visit the show room today, and see the amazing one-of-a-kind items that can only be crafted by the Amish.